One of the busiest neutral grounds in downtown New Orleans might not seem the best place for a conversation. But that’s exactly what the latest addition to a rotating selection of public art along the Poydras Street corridor in the Central Business District is all about. 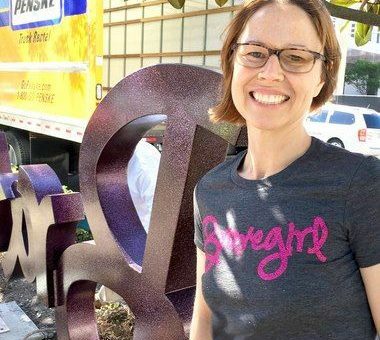 Titled “Bravegirl,” artist Tara Conley’s colorful aluminum word sculpture — painted a deep plum and enhanced with iridescent metallic accents — is the latest addition to the Poydras Corridor Sculpture Exhibition presented by The Helis Foundation. It’s also a Sculpture for New Orleans piece, in partnership with The Ogden Museum of Southern Art and the New Orleans Department of Parks and Parkways — a mouthful of institutions which have been working together to bring world-class public art to the Central Business District since 2013. Based in Houston, Conley is already familiar to those paying attention to public art in the CBD as the creator of the 8-foot-tall “Bronze Bunny” which was installed in Lafayette Square in 2008. 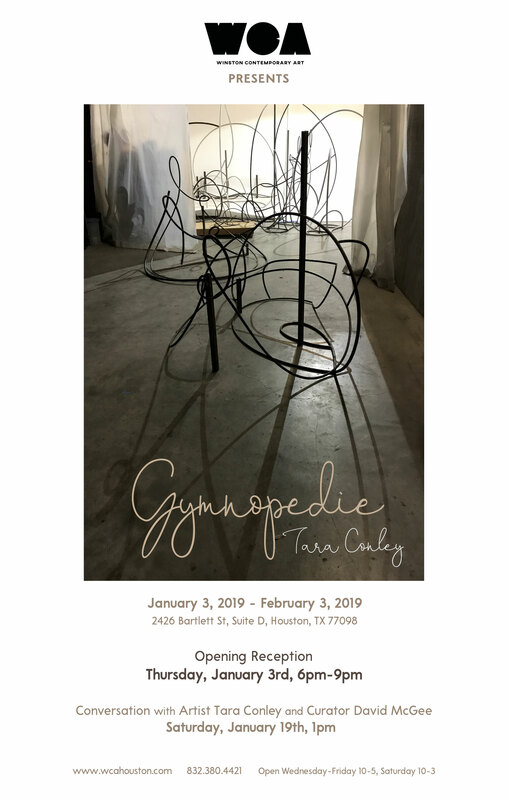 Her more recent works translate words and sentences into three-dimensional free-standing and wall pieces rendered in various media, including steel and bronze. Created as an outgrowth of the artist’s interest in female empowerment, “Bravegirl” began in a list of words Conley recorded after overhearing them in public conversations. 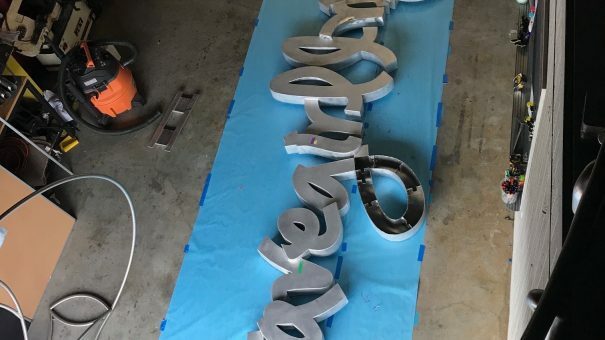 Passers-by can come up with their own word lists on Monday, when “Bravegirl” will be unveiled to the public at the intersection of Poydras and North Peters streets at the beginning of a daylong series of events celebrating International Sculpture Day. The day will also include an art workshop for high school students conducted by Conley at the Ogden Museum of Southern Art, followed by a panel discussion in which Conley will be joined by artists Rachel David and Ashley Pridmore to discuss their art and its role in empowering communities. The talk is free and open to the public. Outside of the museum, Conley hopes the collective — and collaborative — nature of her work will continue as long as the piece is on view. And David Kerstein, president of The Helis Foundation, sees “Bravegirl” in its larger context as part of the continuing mission of the public art series. A glittering plum-colored sculpture by Houston artist Tara Conley arrived on Poydras Street near S. Peters Street amid rush hour traffic on Monday (April 24) morning. 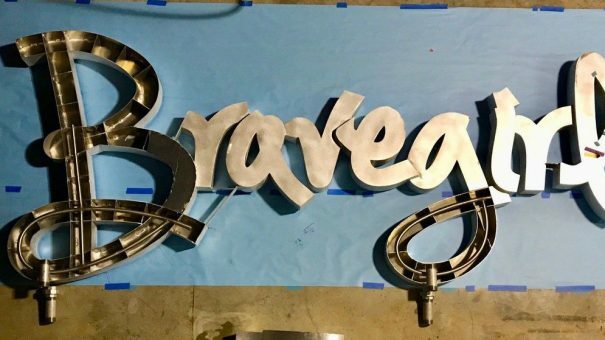 The 24-foot-long metal construction is like an advertisement, spelling out the word “Bravegirl” forward and backward in three dimensions. But “Bravegirl” isn’t a product, it’s a concept. As Conley explained, little boys are taught to be brave when they get a cut on their fingers or have to confront a bully. We don’t apply the word to girls so much, she said, despite the fact that girls are called on to be brave every bit as often. Even when they grow to be women. A friend of hers, Conley said, felt she might be being stalked as she walked to the store. She took the long way home, hoping to elude a potential attacker. It required bravery. Somehow the phrase brave girl slipped into Conley’s conversation. She’s a collector of brief poetic word combinations. “Bravegirl,” spelled without a space is one of her favorites. She does not see the use of the term “girl” to be a slight. The term “Bravegirl” can be interpreted differently by everyone, she said. “It’s like a mirror.” To emphasize that aspect of her concept, and to allow the sculpture to be read from both sides of Poydras Street, she spelled the word twice, as in BravegirllrigevarB. Monday (April 24) is international sculpture day and in the afternoon, female high school students from the Project Butterfly, Navigate Nola, and The Beautiful Foundation organizations will participate in after-school programming with Conley. At 3:30 p.m., the artist will describe the sculpture, then lead a workshop at the Ogden Museum of Southern Art. The “Bravegirl” sculpture and installation was paid for by the Helis Foundation as part of the ongoing Sculpture for New Orleans project, which has provided a string of sculptures along Poydras Street and elsewhere. 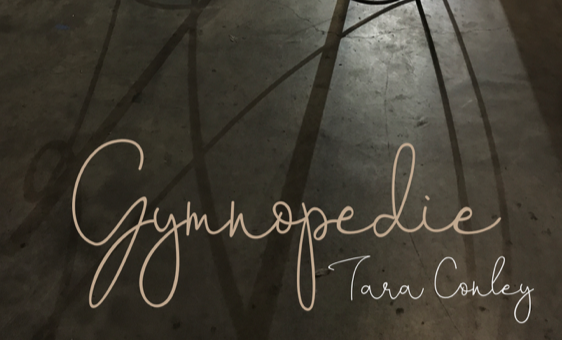 Bravegirl by Tara Conley is being added to the largest rotating collection of public sculpture in the South, the Poydras Corridor Sculpture Exhibition presented by the Helis Foundation. A unique example of a public-private partnership, Sculpture for New Orleans, The Helis Foundation, the Odgen Museum of Sourthern Art, and The City of New Orleans Department of Parks and Parkways work together to bring interesting and inspiring sculpture to the citizens of and visitors to New Orleans. 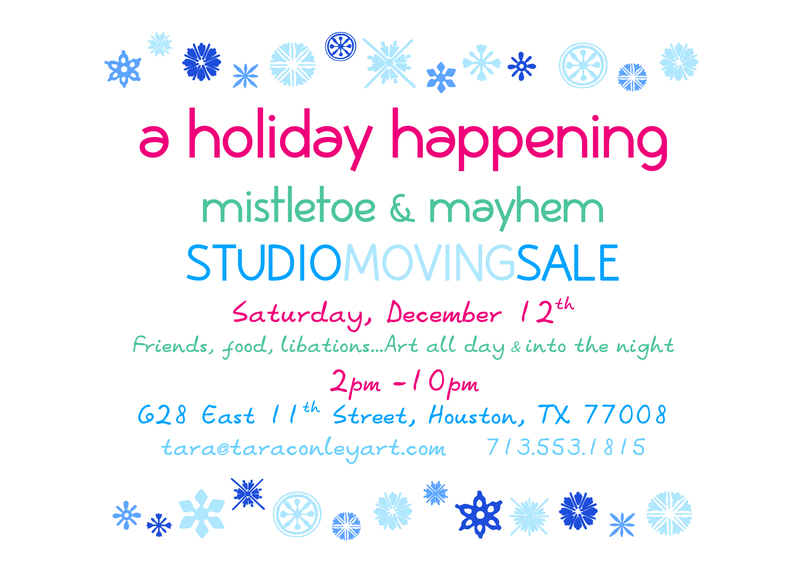 Follow along at Facebook.com/SculptureForNewOrleans and Instagram.com/poydrascorridor/ and @taraconley_art on Instagram! For more details and chances to win Bravegirl t-shirts. For more information, visit the Poydras Corridor mobile site: http://bit.ly/poydrascorridor or, text “Poydras” to 56512.